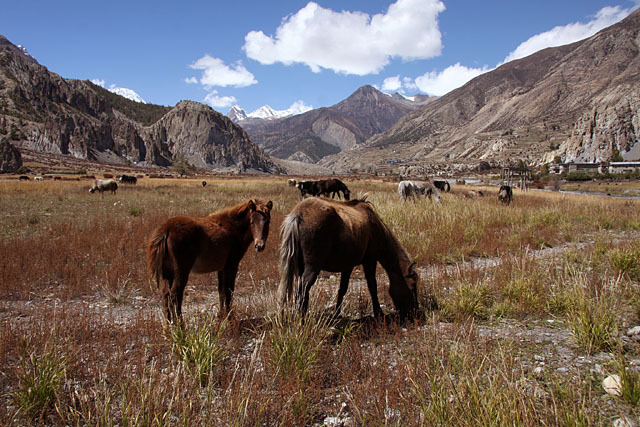 Description: Horse and its pony grazing in on a highland of Mustang. In most places in Mustang you can rent a horse or mule for your onward journey to carry your luggage. Even trekkers ride on them as a mean of transportation, whenever they have problem with Altitude Sickness. Mustang is a remote district of western Nepal nestled in the mountains on the border with Tibet.